« Happy Birthday, Lou, Karen, Jon and Chris! 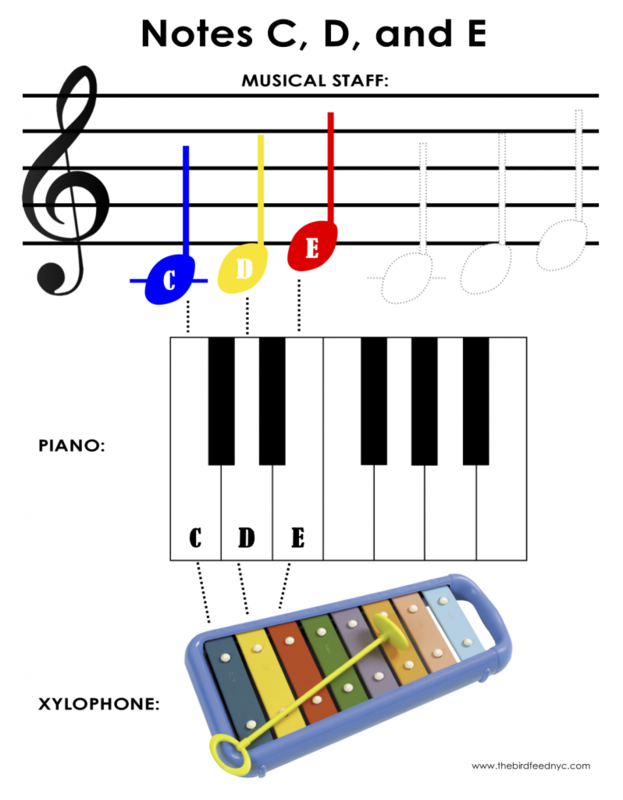 This printable activity sheet is perfect for teaching children where the notes C, D, and E sit on the musical staff and where they are played on a piano keyboard or xylophone. Two easy songs to play with just C, D, and E: “Mary Had a Little Lamb” and “Hot Cross Buns”! Once your kids are ready to add more notes, try my “One Two” activity sheet for learning notes C through G.